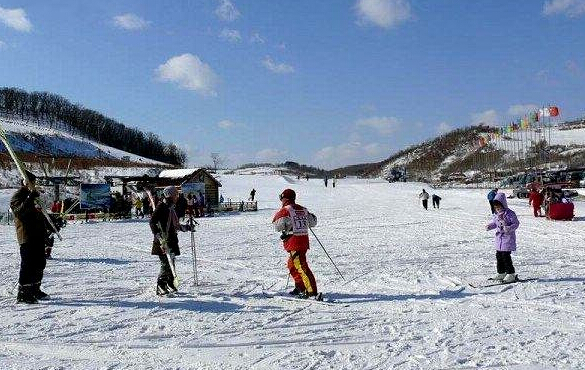 Located in Qingshan Village, Sijia Township, Erdao District,Changchun, Lianhua Mountain Ski Resort is the nearest high- and intermediate-level ski resort to a downtown area around China. Surrounded by high mountains and rivers, the resort covers a total area of six square kilometers. The nine mountain peaks of various heights nearby resemble nine lotus buds and the highest one is the Lianxiu Peak, which has an altitude of 413 meters. With the unique natural conditions, the resort is an ideal place for ski competition and tourism. Its advanced snowmaking machines enable the resort to be open from the last ten days of November to late March the next year. Transportation: The bus to the resort starts from Nanling Gym at 8:30 every morning and return at 15:00.